Point of view tells us through whose eyes we see a story. No point of view, no story. 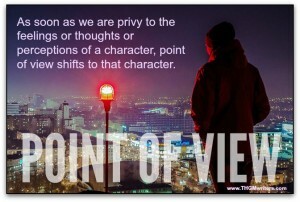 This article tells you how to control point of view.